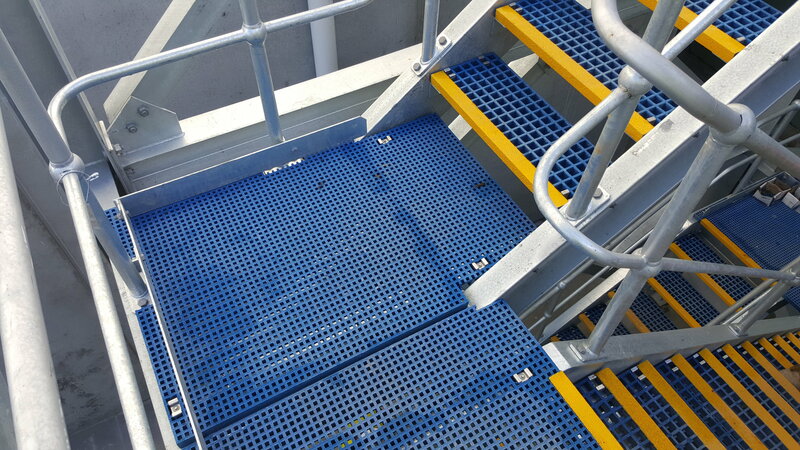 Our stair tread kits are a superior replacement for originally specified equipment in many instances as well as having been chosen as a long life and cost saving alternative to metallic systems for numerous uses. All EX-Series® resin systems can be applied and are supplied standard with four M-Clips. 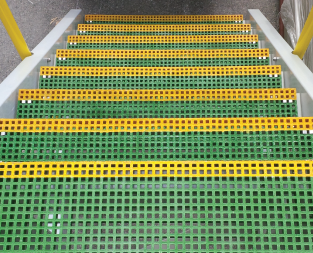 Treads can be supplied assembled ready for installation or dispatched ready for assembly onsite. Likewise, stringer support brackets can be supplied with pre-drilled mounting holes if needed. 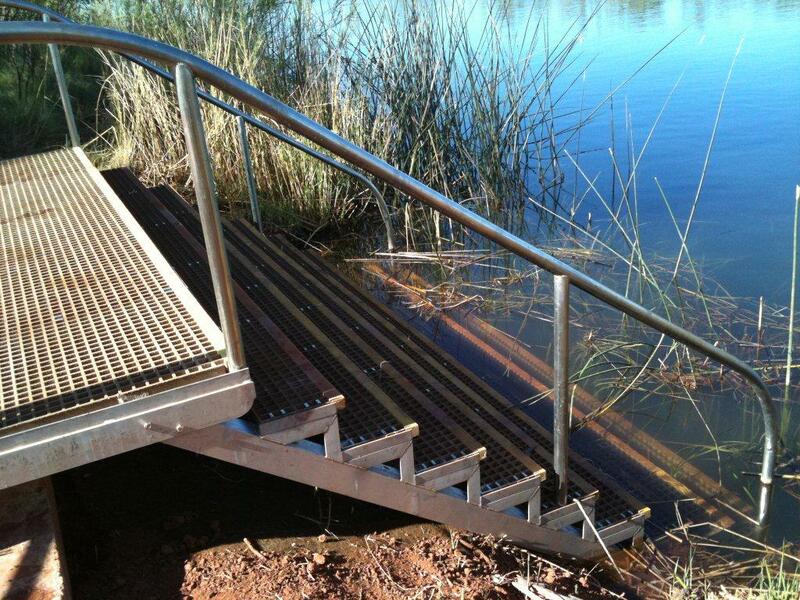 GratEX® landings are also an integral part of Treadwell’s extensive range of offerings. 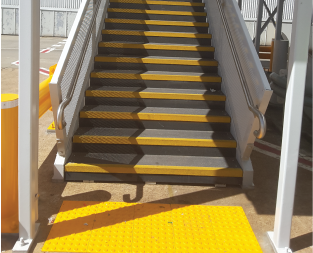 These landings are custom made for each and every application, greatly enhance visibility and reduce the wear commonly seen on landings immensely. 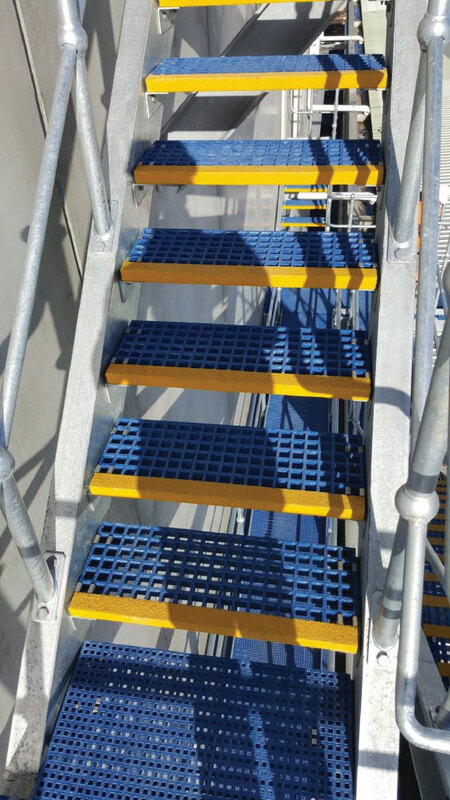 GratEX® landings combine the lasting non-slip properties, the resilience to corrosion and the proven long term cost advantages of GratEX® stair treads with the durable nature of GratEX® grating.